Rosemary is one of the most effective spices, widely used in food processing. It is the only spice commercially available for use as an antioxidant in Europe and the United States. One of the main potential uses is the suppression of warmed over flavour (WOF).1 However, because of their prime use as flavouring agents, rosemary extract products are not technically listed as natural preservatives or antioxidants. Antioxidant properties of rosemary have been well documented.9-15 Rosemary was considered both lipid antioxidant and metal helator.12 Rosemary extract was found also to scavenge superoxide radicals.15 The application of rosemary extracts in food has resulted in a variability in the results depending on the test model being used. Many different solvents have been used for the extraction of the antioxidative compounds.4'16-19 Chang et al.4 extracted rosemary leaves with hexane, benzene, ethyl ether, chloroform, ethylene dichloride, dioxane and methanol. The extracts (0.02%) were tested during oxidation of lard at 60°C in the dark. It was established that the greatest antioxidant activity was located in the methanol extract. The methanol extract was further purified, and the resultant fraction showed an outstanding activity in potato chips fried in sunflower oil and held at 60°C in the dark for 60 days. The antioxidative effect of rosemary ethanol extract on butter,21, 22 as well as on filleted and minced fish during frozen storage was studied.23 Rosemary antioxidants were found suitable for deep frying in edible oils,24 especially in the presence of ascorbyl palmitate.25 Reblova et al.26 investigated the effect of acetone and ethyl acetate extracts on the changes in rapeseed oil and in an oil containing polysiloxanes during frying of potatoes. The authors established that the rosemary extract inhibited the formation of polar substances, polymers and decomposition of polyunsaturated triacylglycerols, especially in the case of rapeseed oil, and improved the sensory attributes of French fries. Barbut et al.11 studied the effectiveness of rosemary oleoresin (RO) in turkey breakfast sausages. The authors found that RO was as effective as the combination of BHA, or butylated hydroxytoluene (BHT), with citric acid in suppressing oxidative rancidity. A standardized RO has many different phenolic components. It is thought that they act in synergy to provide antioxidant activity. Results from the oxidation of stripped soybean oil exposed to fluorescent light, in the presence of rosmariquinone (RQ) and RO27 indicated that RO contained compounds, such as chlorophyll, pheophytin and mono- and diglycerides, which under light interfere with the antioxidant components, thus reducing the antioxidant activity. This was confirmed by the highest level of antioxidant activity exhibited by the RQ in comparison to RO. Lai et al.28 and Murphy et al.29 investigated the antioxidant properties of RO alone or in combination with sodium tripolyphosphate (STPP) in controlling lipid oxidation in restructured chicken nuggets28 and in precooked roast beef slices29 during refrigerated and frozen storage. Stoick et al.30 studied the oxidative stability of restructured beef steaks processed with RO, tertiary butylhydroxyquinone (TBHQ), and STPP. They found that the addition of RO gave no benefit over STPP. The RO/STPP combination was equivalent to TBHQ/STPP treatment in preventing oxidation. Concurrent with the evaluation of rosemary extracts as antioxidants to inhibit lipid oxidation in food systems, research was also focused on isolation, identification and testing of the active compounds contained in the extracts. In a study of 16 compounds isolated from rosemary Bracco et al.5 concluded that the antioxidant activity of rosemary extracts is primarily related to two phenolic diterpenes, carnosol and carnosic acid. This conclusion was confirmed by other investigators.18,34 Nakatani and Inatani35 identified rosmanol and carnosol and found that both were more effective than a-tocopherol, BHT and BHA. The same authors also isolated rosmadial from rosemary. Rosmarinic acid (RA) was reported by Gerhardt and Schroter42 to be the second most frequently occurring caffeic acid ester, following chlorogenic acid, and to have antioxidant activity equivalent to that of caffeic acid. The authors detected RA in rosemary, balm, sage, thyme, oregano, marjoram, savory, peppermint, and for the first time in basil. There are many data in the literature concerning the antioxidative properties of the individual compounds isolated from rosemary. Brieskorn and Domling43 showed that carnosic acid and carnosol were as effective as BHT and that their effectiveness was concentration dependent. The authors noted that the activity of both compounds was due to the cooperation of their ortho phenolic groups with their isopropyl group. It was also reported that rosmanol had greater antioxidant activity than carnosol, with carnosic acid being more potent than carnosol.40,44 In soybean oil carnosic acid was found to be more active than BHT and BHA, but less active than TBHQ. Carnosic acid and carnosol showed the ability to chelate iron and were effective radical scavengers of peroxyl radicals.34 It has been established17 that the molecules of carnosol and the radicals formed from them participate in the reactions of chain initiation and propagation to a much lower degree than is the case with most natural and synthetic antioxidants. Houlihan et al.37 found rosmaridiphenol to be more active than BHA in lard and equivalent to BHT in this test system. They reported also that RQ was superior to BHA and equivalent to BHT in controlling the oxidation of lard.38 RQ has been shown to have good antioxidant activity also in soybean oil.27 Hall et al.45 proved that RQ acted as a hydrogen-donating antioxidant. Isorosmanol and epirosmanol showed high activity in both lard and linoleic acid;36 in lard they were four times more active than BHA and BHT. Nakamura et al.46 reported that RA exhibited a significantly higher superoxide scavenging activity than ascorbic acid. Cuvelier et al.50 found no correlation between the antioxidative effectiveness of the rosemary extracts from different pilot-plant or commercial sources and their composition in 20 specific phenols, a finding which illustrates the complex influence of the various factors on lipid oxidation stability. Since methanol and ethanol were found to be the most suitable solvents for extraction of antioxidants from the plant materials, a number of publications have dealt with further purification of the alcohol extracts. Vacuum steam distillation4 or molecular distillation5 are recommended for use on production scale. 1 valenzuela a b and nieto s k, 'Synthetic and natural antioxidants: food quality protectors', Grasas y Aceitas, 1996 47 186-96. 2 rac m and ostric b, 'Les proprietes antioxigenes du romarin', Rev Franc Corps Gras, 1955 2 796-803. 3 berner d l and jacobson g a, 'Spice antioxidant principle and process for the extraction thereof', US Patent, 1973 3 732 111. 4 chang s s, ostic-matijasavic b, hsieh o a l and huang c l, 'Natural antioxidants from rosemary and sage', J Food Sci, 1977 42 1102-6. 5 bracco u, loliger J and viret J-L, 'Production and use of natural antioxidants', J Amer Oil Chem Soc, 1981 58 686-90. 6 inahata k, nakasaki t, matsumora s and nakahara t, 'Odorless and safe antioxidants derived from rosemary and their preparation', Jpn Kokai Tokkyo Koho JP, 1996 08 67 874. 7 gerard g, quirin K-W and schwarz e, 'CO2-extracts from rosemary and sage', Food Market Technol, 1995 (10) 46-52. 8 LOREZ-SEBASTIAN S, RAMOS E, IBANEZ E, BUENO J M, BALLESTER L, TABERA J and reglero G, 'Dearomatization of antioxidant rosemary extracts by treatment with supercritical carbon dioxide', J Agric Food Chem, 1998 46 13-19. 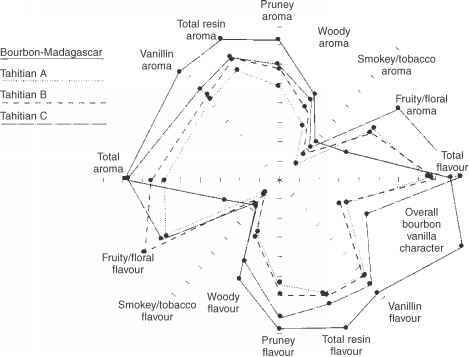 9 huisman m, madsen h l, skibsted l h and bertelsen g, 'The combined effect of rosemary (Rosmarinus officinalis L) and modified atmosphere packaging as protection against warmed over flavour in cooked minced meat', Z Lebensmittel Untersuch Forsch, 1994 198 57-9.
wu j w, lee m-h, ho C-T and chang s s, 'Elucidation of the chemical structures of natural antioxidants isolated from rosemary', JAmer Oil Chem Soc, 1982 59 339-45. barbut S, josephson D B and maurer J, 'Antioxidant properties of rosemary oleoresin in turkey sausage', J Food Sci, 1985 50 1356-63. nozaki K, 'Antioxidant activity of rosemary', New Food Ind (Japan), 1989 31 2731.
fang X and wada s, 'Enhancing the antioxidant effect of alpha-tocopherol with rosemary in inhibiting catalysed oxidation caused by Fe2+ and hemoprotein', Food Research Intern, 1993 26 405-11. ARUOMA O I, SPENCER J P E, ROSSI R, AESCHBACH R, KHAN A, MAHMOOD N, MUNOZ A, murcia a, butler J and halliwell b, 'An evaluation of antioxidant and antiviral action of extracts of rosemary and Provencal herbs', Food Chem Toxicol, 1996 34 449-56.
basaga H, tekkaya C and ackikel F, 'Antioxidative and free radical scavenging properties of rosemary extract', Food Sci Technol (London), 1997 30 105-8. pazolaz, korczak J and gogolewskim, 'Studies on the antioxidative properties of spices from the Labiatae family. ii. Attempt at identification of antioxidative components of rosemary and sage', Roczn Acad Roln Pozn, 1990 CCXVIII 93-107. marinova E, yanishlieva N and ganeva I, 'Antioxidative effect of Bulgarian rosemary and inhibiting activity of its carnosol', Oxidation Communications, 1991 14 125-31.
chen q, shi h and ho C-T, 'Effects of rosemary extracts and major constituents on lipid oxidation and soybean lipoxygenase activity', J Amer Oil Chem Soc, 1992 69 999-1002.
pokorny J, nguyen H T T and korczak J, 'Antioxidant activities of rosemary and sage extracts in sunflower oil', Nahrung, 1997 41 176-7. POKORNY J, REBLOVA Z, TROIAKOVA L, NGUYEN H T T, KORCZAK J and JANITZ W, 'Antioxidant activities of spices and herbs in rapeseed oil', Proceedings of the World Conference on Oil Seed and Edible Oils Processing, 6-10. October 1996, Istanbul, Turkey, Eds Koseoglu S S, Rhee K C and Wilson R F, Champaign, Illinois, Vol. II, 1998, pp. 265-9.
zegarska z, amarowicz r, karmac m and RAFALOWSKI r, 'Antioxidative effect of rosemary ethanolic extract on butter', Milchwissenschaft, 1996 51 195-8. zegarska z, rafalowski r, amarowicz r, karmac m and shahidi f, 'Stabilization of butter with deodorized rosemary extract', ZLebensmittel Untersuch Forsch, 1998 206 99-102. VARELTZIS K, KOUFIDIS D, GAVRIILIDOU E, PAPAVEREGOU E and VASILIADOU S, 'Effectiveness of a natural rosemary (Rosemarinus officinalis) extract on the stability of filleted and minced fish during frozen storage', ZLebensmittel Untersuch Forsch, 1997 205 93-6. Gordon m h and kourimska l, 'The effect of antioxidants on changes in oil during heating and deep frying', J Sci Food Agric, 1995 68 347-53. Gordon m h and kourimska l, 'Effect of antioxidants on losses of tocopherols during deep-fat frying', Food Chemistry, 1995 52 175-7.
reblova z, kudrnova J, trojakova l and pokorny J, 'Effect of rosemary extracts on the stabilization of frying oil during deep fat frying', J Food Lipids, 1999 6 13-23. HAL iii c, cuppett s, wheeler d and fu X, 'Effects of bleached and unbleached rosemary oleoresin and rosemariquinone on light-sensitized oxidation of soybean oil', JAmer Oil Chem Soc, 1994 71 533-5. 28 LAI S-H, GRAY J I, SMITH D M, BOOREN A M, CRACKEL R L and BUCKLEY D J, 'Effect of oleoresin rosemary, tertiary butylhydroquinone, and sodium tripolyphosphate on the development of oxidative rancidity in restructed chicken nuggets', J Food Sci, 1991 56 616-20. 29 murphy a, kerry J e, buckley d J and gray J I, 'The antioxidative properties of rosemary oleoresin and inhibition of off-flavors in precooked roast beef slices', J Sci FoodAgric, 1998 77 235-43. 30 stoick s m, gray J I, booren a m and buckley d J, 'Oxidative stability of restructed beef steaks processed with oleoresin rosemary, tertiary butylhydroquinone and sodium tripolyphosphate', J Food Sci, 1991 56 597-600. 31 wada s and fang x, 'The synergistic antioxidant effect of rosemary extract and a-tocopherol in sardine oil model system and frozen-crushed fish meat', J Food Process Preserv, 1992 16 263-74. 32 korczak J, janitz W and NOGALA-KALUCKA M, 'Synergism of natural antioxidants in preserving of lipids', Proceedings of the 27th Annual Meeting of Polish Academy of Science, Szczecin, Poland, 1996, 27-28 June, pp. 418-21. 33 chipault j r, mizuno g r, hawkins J m and lundberg w o, 'The antioxidant properties of natural spices', Food Research, 1952 17 46-55. 34 aruoma O I, halliwell B, aeschbach R and loliger J, 'Antioxidant and pro-oxidant properties of active rosemary constituents: carnosol and carnosic acid', Xenobiotica, 1992 22 257-68. 35 nakatani N and inatani R, 'Structure of rosmanol a new antioxidant from rosemary (Rosmarinus officinalis L)', Agric Biol Chem, 1981 45 2385-6. 36 nakatani N and inatani R, 'Two antioxidative diterpenes from rosemary (Rosmarinus officinalis L) and a revised structure for rosmanol', Agric Biol Chem, 1984 48 2081-5. 37 houlihan c m, ho C-T and chang s s, 'Elucidation of the chemical structure of a novel antioxidant, rosmaridiphenol, isolated from rosemary', Amer Oil Chem Soc, 1984 61 1036-9. 38 houlihan C M, ho C-T and chang S S, 'The structure of rosmariquinone - a new antioxidant isolated from Rosmarinus officinalis L', Amer Oil Chem Soc, 1985 62 96-8. 39 wenkert e, fuchs a and mcchesney J d, 'Chemical artefacts from the family Labiatae', J Organ Chem, 1965 30 2934-40. 40 schwartz k and ternes w, 'Antioxidative constituents of Rosmarinus officinalis and Salvia officinalis ii isolation of carnosic acid and formation of other phenolic diterpenes', Z Lebensmittel Untersuch Forsch, 1992 195 99-103. 41 hall iii c a and cuppett s l, 'Structure-activities relationship of natural antioxidants', in: Antioxidant Methodology: in vivo and in vitro Concepts, Eds. Auroma O I and Cuppett S L, Champaign, Illinois, AOCS, 1997, pp 141-72. 42 gerhardt U and schroter A, 'Rosmarinic acid - an antioxidant occurring naturally in herbs', Fleischwirtschaft, 1983 63 1628-30. 43 brieskorn c h and domling H-J, 'Carnosolsaure, der wichtige antioxidativ wirksame Inhaltsstoff des Rosmarin- und Salbeiblattes', Z. Lebensmittel Untersuch Forsch, 1969 141 10-16. 45 hall III C A, CUPPERT S L and DUSSAULT P, 'Hydrogen-donating mechanism of rosemariquinone, an antioxidant found in rosemary', J Amer Oil Chem Soc, 1998 75 1147-54. 46 NAKAMURA Y, OHTO Y, murakami A and OHIGASHI H, 'Superoxide scavenging activity of rosmarinic acid from Perilla frutescens Britton Var. acuta f. viridis', J Agric Food Chem, 1998 46 4545-50. 47 Frankel E N, huang S-W, AESCHBACH R and prior E, 'Antioxidant activity of rosemary extract and its constituents, carnosic acid, carnosol, and rosmarinic acid, in bulk oil-in-water emulsion', J Agric Food Chem, 1996 44 131-5. 48 hopia a I, huang S-W, schwarz K, german J B and Frankel E N, 'Effect of different lipid systems on antioxidant activity of rosemary constituents carnosol and carnosic acid', J Agric Food Chem, 1996 44 2030-6. 49 HUANG S-W, FRANKEL E N, SCHWARZ K, AEASCHBACH R and GERMAN J B, 'Antioxidant activity of carnosic acid and methyl carnosate in bulk oils and oil-in-water emulsions', J Agric Food Chem, 1996 44 2951-6. 50 cuvelier M-E, richard H and BERSET C, 'Antioxidative activity and phenolic composition of pilot-plant and commercial extracts of sage and rosemary', J Amer Oil Chem Soc, 1996 73 645-52. 51 chipault J R, MIZUNO G R, Hawkins J M and LUNDBERG W O, 'Antioxidant properties of spices in oil-in-water emulsion', Food Research, 1955 20 443-8. 52 DJARMATI Z, JANKOV R M, SCHWIRTLICH E, DJULINAC B and DJORDJEVIC A, 'High antioxidant activity of extracts obtained from sage by supercritical CO2 extraction', J Amer Oil Chem Soc, 1991 68 731-4. 53 abdalla a E and roozen J P, 'Effect of plant extracts on the oxidative stability of sunflower oil and emulsion', Food Chemistry, 1999 64 323-9. 54 BRIESKORN C, FUCHS A, BREDENBERG J, MCCHESNEY J and WENKERT E, 'The structure of carnosol', J Organ Chem, 1964 29 2293-8. 55 linde H, 'Ein neues Diterpen aus Salvia officinalis L und eine Notiz zur Konstitution von Pikrosalvin', Helv Chim Acta, 1964 136 1234-9. 56 cuvelier M-E, berset c and richard H, 'Separation of major antioxidants in sage by high performance liquid chromatography', Sci Aliments, 1994 14 811-15. 57 cuvelier M-E, berset C and richard H, 'Antioxidant constituents in sage (Salvia officinalis)', J Agric Food Chem, 1994 42 665-9. Get All The Support And Guidance You Need To Be A Success At A Food Business. 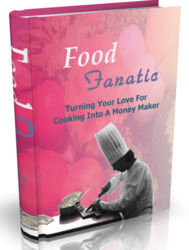 This Book Is One Of The Most Valuable Resources In The World When It Comes To Turning Your Love For Cooking Into A Money Maker.